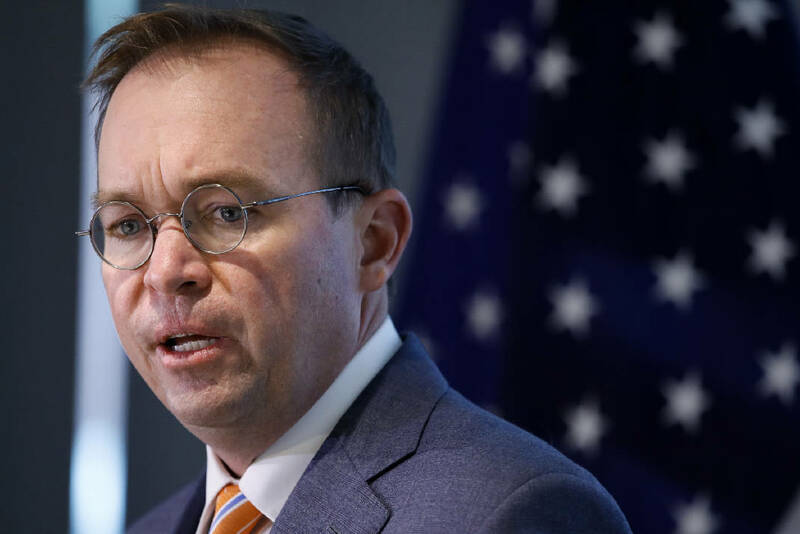 Tougher rules governing the payday lending industry, finalized during the last weeks of an Obama-era appointee who led the Consumer Financial Protection Bureau, will remain in place for now after Congress allowed a deadline to overrule them pass without action. It's a rare victory for consumer groups in the era of President Donald Trump, but the win is expected to be short-lived. Despite the lack of Congressional action, the bureau, now under the control of Trump appointee Mick Mulvaney, has already announced plans to revisit the regulations, which mostly go into effect next year. Under the Congressional Review Act, Congress had 60 legislative days to overrule the CFPB's new payday lending rules, which were implemented in the final weeks of Richard Cordray's tenure. The deadline expired Wednesday without a vote in either the House or Senate. The cornerstone of the rules is a requirement that payday lenders must determine, before giving a loan, whether a borrower can afford to repay it in full, with interest, within 30 days. The rules also cap the number of loans a person could take out in a certain period of time. The rules could have a substantial negative impact on the payday lending industry, where annual interest rates on loans can exceed 300 percent. Congress' failure to veto the CFPB's rule was a surprise since Congress has overruled other consumer protections put into place under President Obama, including rules that would have allowed consumers to join class-action lawsuits to sue their banks. Since Mulvaney took over the bureau in late November, he has repeatedly sided with payday and other high-cost installment lenders. He dropped an investigation into a company known as World Acceptance, a high-cost installment lender, and ended a lawsuit against another payday lender known as Golden Valley. One of the first actions Mulvaney took as acting CFPB director was to announce the bureau would revisit Cordray's payday lending rules. This could include revising the rules, or rescinding them altogether. Most of the rules will not go into effect until next year, but the CFPB has already waived some of the already active rules in preparation for the changes it plans to make. "Despite this victory, it is not time to celebrate — those of us who have worked hard on this issue are prepared to take the fight to Mick Mulvaney who has indicated he may sabotage these consumer protections before they go into effect next year," said Karl Frisch, executive director for Allied Progress, a left-leaning group that has been a vocal critic of Mulvaney since he took over. The primary grade group for the payday lending industry, the Community Financial Services Association of American, has sued the CFPB, contending that the new rules are illegal. "We have been pursuing all options, including CFSA's recently filed lawsuit, to obtain relief for American consumers and small businesses who will be hurt by the regulatory overreach of the CFPB under former Director Richard Cordray's highly partisan tenure," CFSA CEO Dennis Shaul said in a statement Thursday. "The Bureau failed to demonstrate consumer harm from small-dollar loans, ignored customer input on the rule, and disregarded unbiased research and data that undercut its pre-determined agenda." Check Into Cash, the Cleveland, Tenn.-based payday lender owned by Alan Jones, said it will work with financial regulators to develop rules that can continue to allow loan products for short-term borrowing by consumers needing such financial tools. "We look forward to continuing working with the CFPB to develop more appropriate regulations to protect consumers and yet also allow a legal, regulated loan product to exist," said Jabo Covert, a manager of government relations for Check Into Cash.